A key element of the Conserving Coniston & Crake project is community involvement through art. 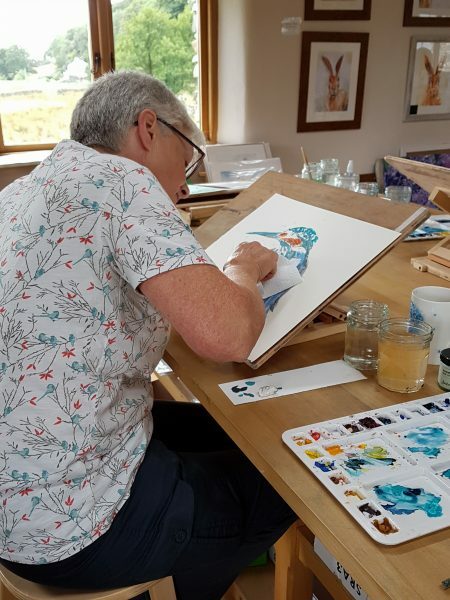 By delivering a series of community art workshops we want to encourage locals to learn about the aquatic wildlife and the wider importance of biodiversity in the catchment as well as producing art work that could be used within the project in interpretative materials such as interpretation boards. 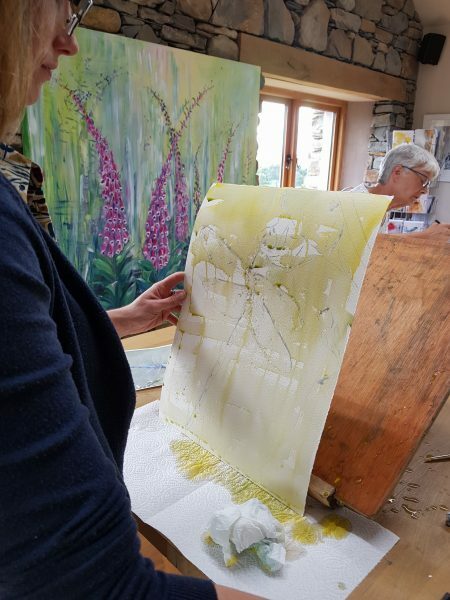 With this in mind a series of art projects have been arranged, the first being with Torver based watercolour artist Jackie Hadwin. The workshop booked up quite quickly, with a list of reserves. 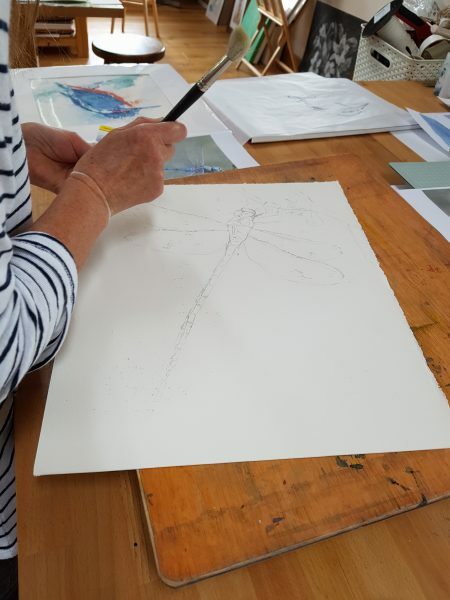 The first part of the morning was spent learning the basic techniques that Jackie specialises in then we chose the subject matter for our key piece of work – a Coniston scene, a kingfisher or a dragonfly. Jackie was brilliant – she nurtured us, encouraged us, gave us hints and tips on how to improve and showed endless patience. Jackie also provided a delicious lunch, feeding our bodies as well as our skills! 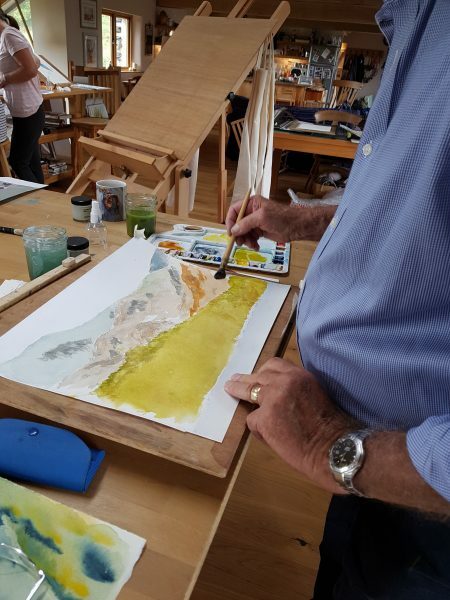 By the end of the afternoon some amazing art work had been produced, especially considering how little watercolour painting most of us had done previously. The next step is to copy the pieces to use in interpretative materials later on this year.